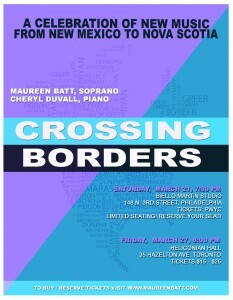 See Crossing Borders in Philadelphia and/or Toronto! 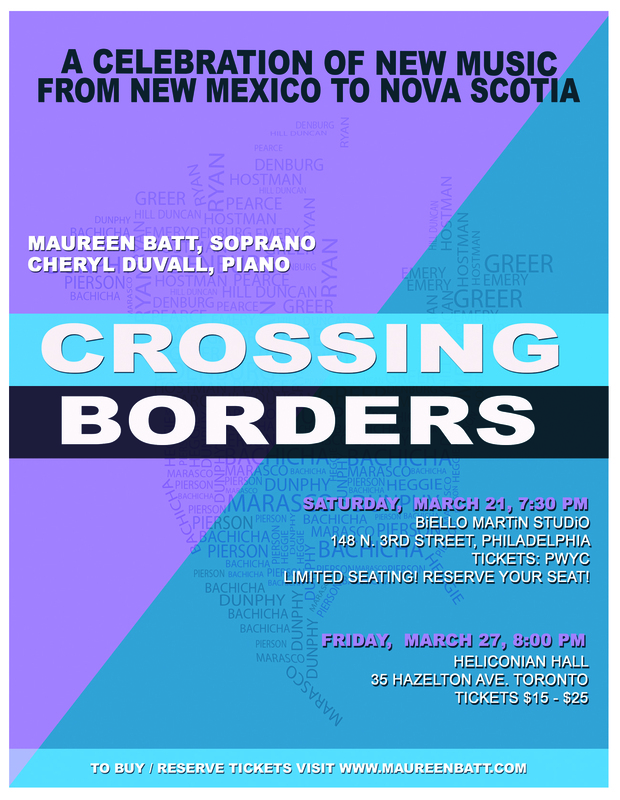 Our third and final performance of this inaugural Crossing Borders concert will be presented in Toronto at Heliconian Hall on Friday, March 27, at 8:00 PM. You can purchase your tickets online or at the door. Will be in TO on March 27. Will bring friends.